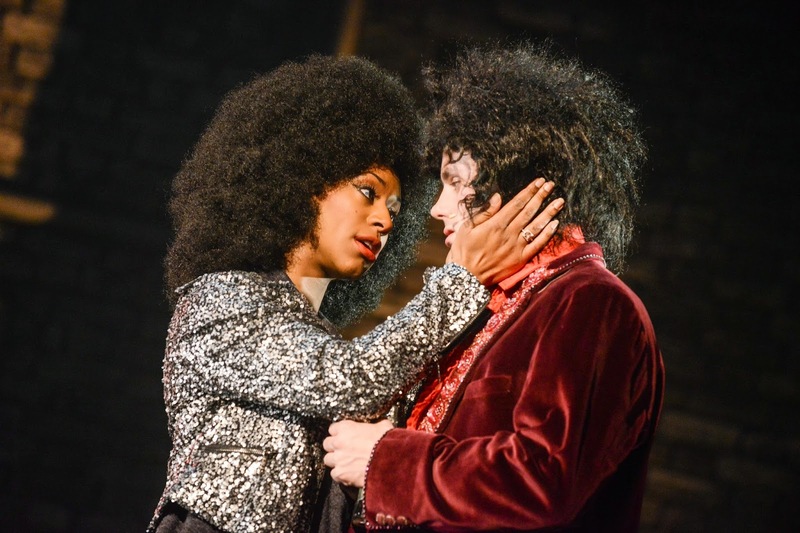 The opening night of the new musical 20th Century Boy at the Sunderland Empire was one I’m glad I crossed the Wearmouth bridge for. 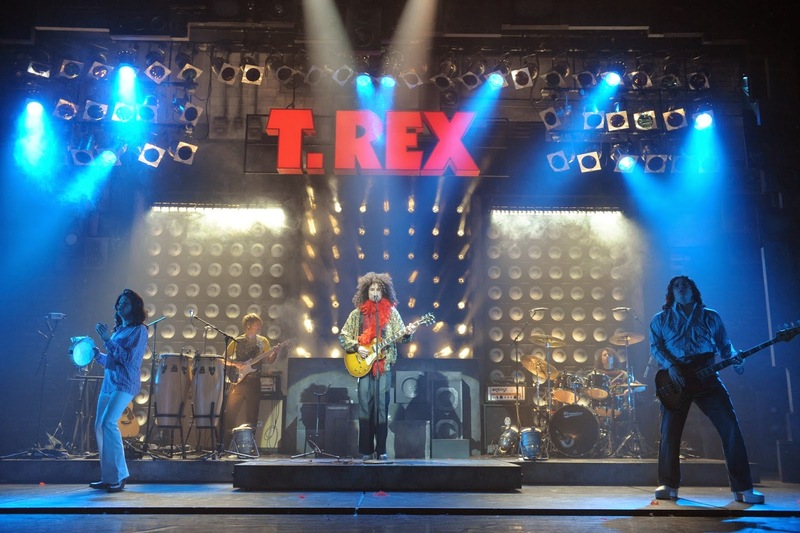 Packed with Marc Bolan fans, the show started ten minutes late, but soon caught up with a fast paced, slick performance weaving together the story of Marc Bolan and T Rex, their meteoric rise to fame, through to Marc’s complicated love life and untimely death in a car accident. The framework of the story uses his grown up son Rolan Bolan’s desire to to travel to England to find out about his father’s life. His mother, the American soul singer Gloria Jones has never really explained to him what happened on the night Marc died in a car accident, while she was at the wheel. 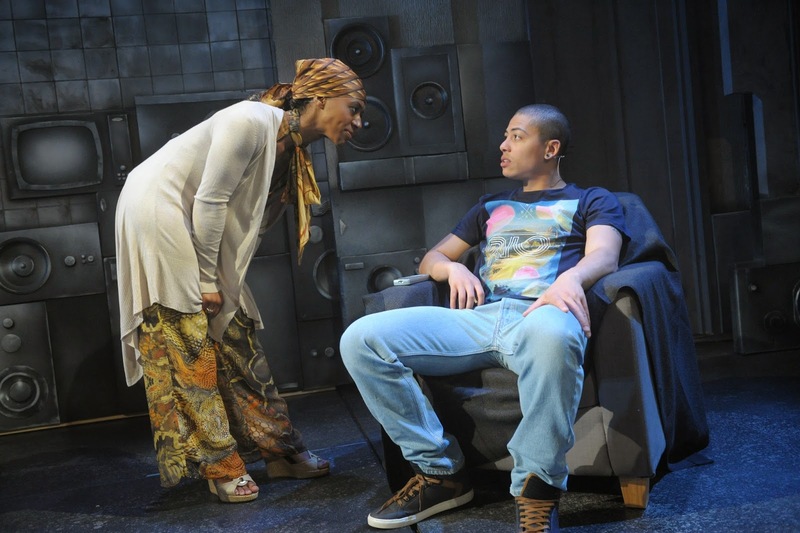 The yearning to find out about his roots takes Rolan from LA to London where he pieces together the story of his father’s career and tries to reconcile his own mother with Marc’s mother Phyllis who still blames Gloria for the accident. Much of the Marc Bolan story reminds me a bit of the David Essex character Jim Maclaine, in the film ‘That’ll be the Day’ where fame is seen as such a glittering prize that any price will be paid for it. But it remains a fact that T Rex produced some of the most original and iconic songs of the 70’s and Marc Bolan was a huge talent. 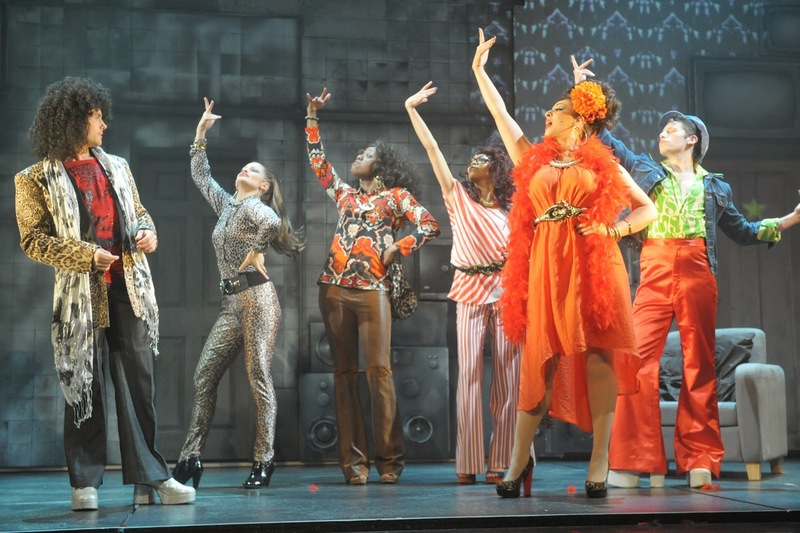 The production has lots and lots of impressive lighting effects and some of the T Rex songs have been tinkered with to make them more like full musical/dance numbers or so that characters can sing together. The arrangements don’t necessarily improve on the originals but are cleverly used as a mechanism to help tell the story. 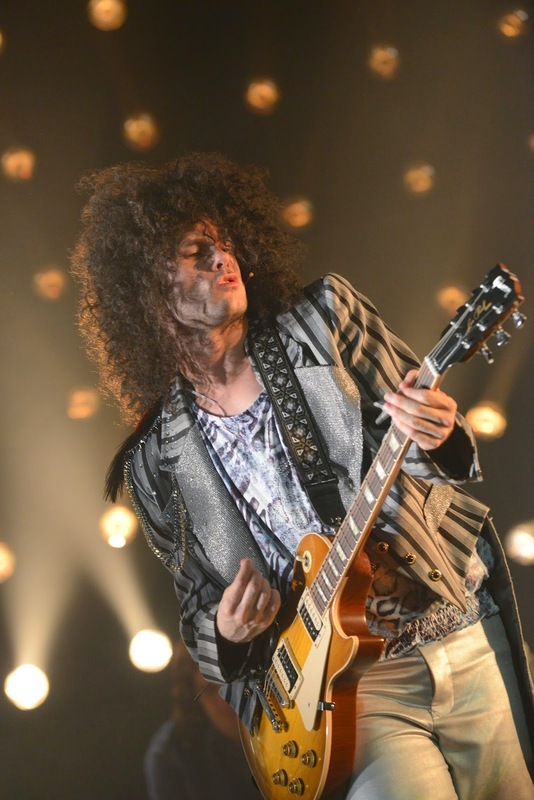 Warren Sollar’s does an excellent job of being Bolan. He’s not as pretty as the real thing, but he captures his essence well with a good imitation of his voice, his eccentric mannerisms and his extraordinary energy. I looked at Warren’s previous credits and although I personally hadn’t seen him in anything else, I’ll bet my bottom dollar this is the best job he’s had by far. Sue Jenkins (Jackie Corkhill in Brookside) is likable as his mother and both Lucy Sinclair (June) and Donna Hines (Gloria) give solid support as Marc’s wife and his mistress respectively.